"1st Call Tranport has proven to be a professional and reliable source for our funeral home. They take care of all of our removals and long hauls. They also make crematory and flower runs on occasion. The staff is always pleasant and willing to help in any way possible. They are definitely a great choice for your transportation needs." "Ever since starting in the funeral industry, 1st Call Transport has been our service provider for making our removals. They are the first people that these families see and with that provide the families with a sense of comfort before even coming to the funeral home. They are professional in nature and show compassion at one of the most difficult times that these families face. If you want quality, then no need to go anywhere else, but to 1st Call Transport." 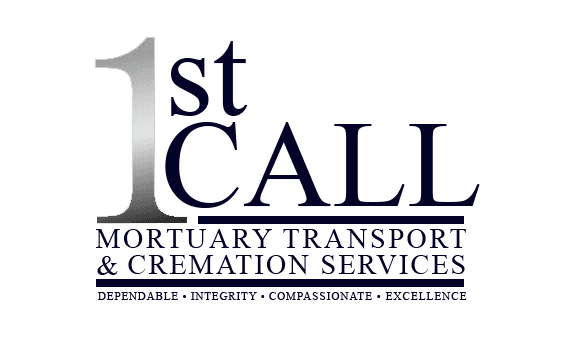 "As a Funeral Service Care Center, 1st Call Transport is our first choice when a death has occurred out of town. David and his staff have always shown professionalism and compassion, which are up most important in our field of business." "My compliments to your wonderful driver. He was professional, personable, timely, and highly conscientious. You are most fortunate to have such a valuable staff member. I was quite impressed. Thank You!!!" This is our son Glenn. He was our heart. Thank you so much for taking such wonderful care of him following his passing. You were such comfort to his dad & I. May God be with you daily as you comfort other families. You are truly an Angel. By the way, your website is very nice, professional. The family of Ms. Kim called, and were so pleased at how caring you and your staff were when they came to transport Ms. Kim to Brazier-Watson funeral home. Just want to "Thank you" for being so kind to my families! I really appreciate all that you do to represent me! As a Hospice nurse I have been working closely with David and his staff at 1st Call Transport for about 5 years. It is a positive experience to see these guys work. They go above and beyond to make sure that family is confident that their loved ones will be taking care of with respect and dignity . David and his staff take time to explain what is to be expected and allow families to say their goodbyes. Compassion and care for a fellow human being and the end of their journey is provided to its "BEST". Further more they honor our Veterans by tenderly covering them with the Old Glory blanket. 1st Call Transport should be proud of the work they do every day. I would recommend their service anytime.